The raw material to make paper is renewable and inexhaustible. Wood, the raw material for making paper is renewable and inexhaustible. In Europe, during the period of 2010-2015 forests have grown 1,900,000 hectares. Spain, with 18.4 million hectares, ranks fourth in forest area in the European continent and forests in Spain have increased by 27% over the last 15 years. 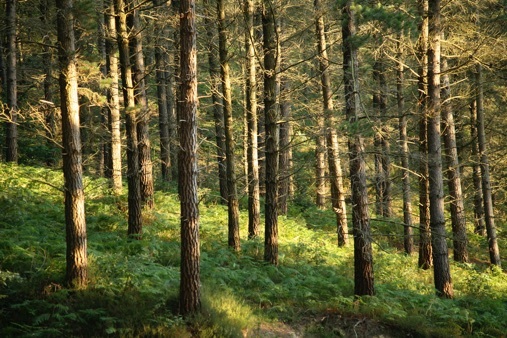 To make paper only wood is used that is grown in specific forest plantations to produce cellulose fibre. In Spain, thanks to paper production, 420,580 hectares of pine and eucalyptus woodland are managed sustainably and have led to wastelands being recuperated to turn them into forests. 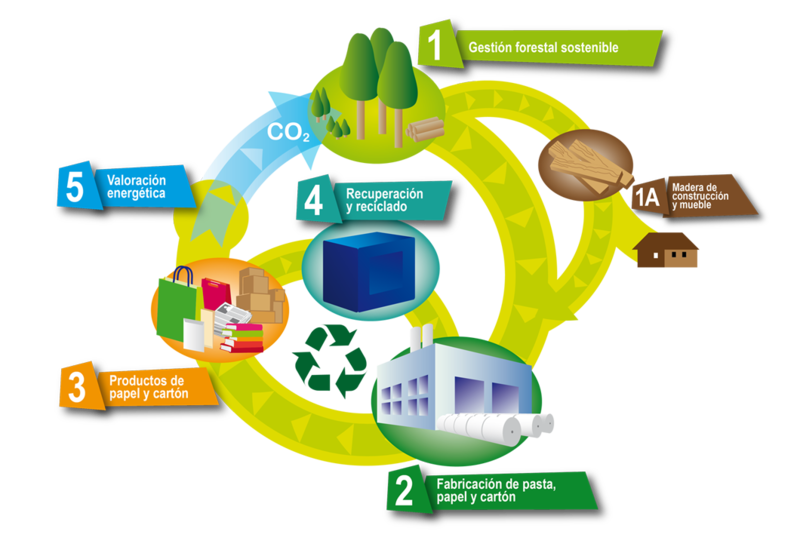 Circular economy process that is involved in the production of paper bags. Plantations to produce paper fibre are large CO2 sinks. Once forests reach maturity they no longer absorb carbon, so these productive plantations are a great opportunity to contribute to slowing down climate change. The 420,580 hectares of plantations to produce paper in Spain store 28 million tonnes of equivalent CO2. The stored carbon is not released when the tree is cut, but it remains in the forest products such as paper bags. A kilo of paper stores 1.3 kilos of equivalent CO2 and thanks to recycling this carbon sequestration time period expands. All industrial activity causes emissions of greenhouse gases. 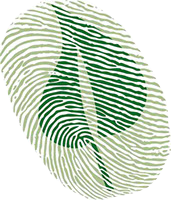 A carbon footprint measures the total emissions of a product throughout its life cycle: obtaining and the origin of raw materials, manufacturing processes and transport, different uses and practices for recovery or disposal as waste. A paper bag is always the best choice. of its life cycle has a negative carbon footprint. The Spanish paper industry is Europe’s leader in paper recycling; annually 4.6 million tonnes of waste paper are collected and recycled. For every ten kilos of paper that is manufactured in Spain, 8.2 kilos of waste paper is used as raw material. Recycling paper means reducing emissions produced by landfills and savings in the same volume equivalent to 50 large football stadiums like Bernabéu or Camp Nou. We recover and recycle 74% of the paper bags that we consume. As a result, we are able to achieve that each paper bag has up to six cycles of life since the cellulose fibre is recoverable as a raw material up to six times. 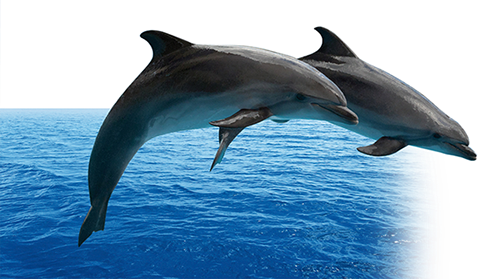 And if a paper bag mistakenly ends up in nature, it would not harm the land or the oceans. Being a natural product it is biodegradable over a period of between 2 and 5 months without harming the environment, unlike other commercial bags that can take more than 400 years to decompose. Experience shows that consumers reuse paper bags for different uses or use them to go shopping again. However, there was not a scientific method of evaluation that could support the reuse property of paper bags. For this labolsadepapel proposed to Itene, the Technological Institute of Packaging, Transport and Logistics that a method of evaluating the reusability of paper bags should be obtained. In particular, in this study, for the paper bags, it was considered a minimum of 4 reuses, as a parameter and can be extrapolated to all paper bags in general, regardless of design, quality of the paper, dimension, etc. The study evaluates two different uses, bags for use in the textile trade and bags for “other uses” that can be used in other commercial sectors. Filling one bag with a textile garment is not the same as with a purchase made in a supermarket. Neither the weight to support and transport time are the same. For testing textile use a carrying capacity of 4 kg was used and a transportation time of 30 minutes and five pulls. For testing “other uses” a carrying capacity of 6 kg was used and a transportation time of 7 minutes and five pulls. The validation results show that paper bags, regardless of the type of handle are reusable, tanto para both for textile use and for other uses, as it has supported five sequences of the pull test plus fatigue test, which depending on the use intended to validate the reuse of the paper bag, changes in terms of time and weight to be supported per bag.